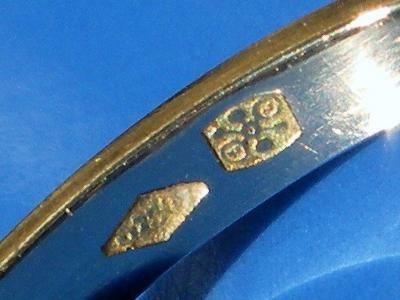 Can anyone help identify this "asterisk" shaped hallmark? I recently bought this diamond solitare. Having much difficulty finding any marks similar that might help identify maker or age. My jeweler said it was "most likely European" but I would certainly like to know more. 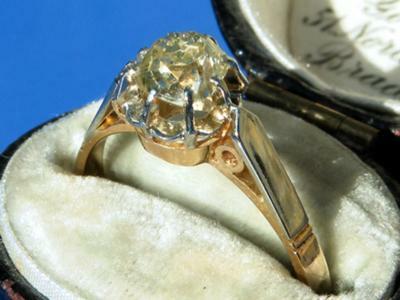 It is 18K (marked 750), a very pretty "rose-y" or "orange-y" gold with white gold on the top portion of the ring with an 8 prong setting and light yellow diamond. Any help would be wonderful!